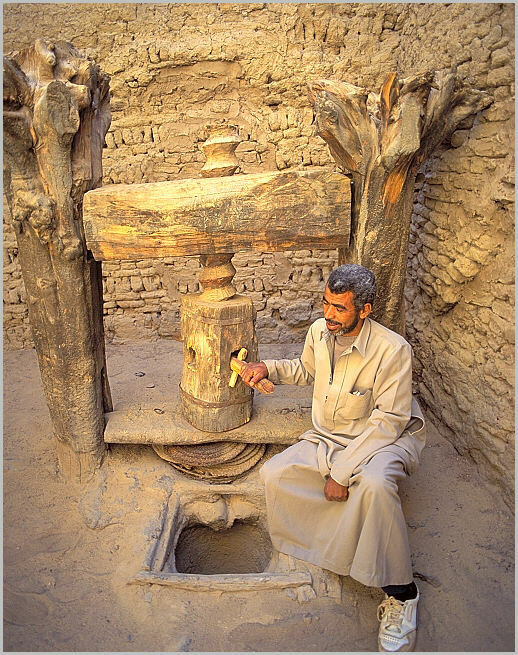 In the old Qsar, an ancient and abandoned city, deep in the western Sahara, there are several examples of ancient mechanical tools. This example appears to be a giant screw possibly for squeezing olives or grapes. A catch basin is visible below. The town is well over 1000 years old, and is mostly built of mudbricks.